With these original articles and student essay responses, we illustrate how the College Board is going to great lengths to present interesting topics to students struggling with that famous rite-of-passage: the essay portion of the SAT. In the new essay format, students must respond to an article or speech and defend its persuasive appeal, taking 50 minutes for the task. Although this essay is an optional portion of the new SAT, we consider it mandatory and teach students exactly how to manage the job. Students are scored on three elements of their argument as they attempt to show the original essay's (or speech's) power: reading, analysis, and writing. They must demonstrate their understanding of the passage, show how well they have analyzed its persuasive argument, and build their own analysis with polished craft and skill. This essay is a response to an editorial entitled "Base Food Labeling on Fact, Not Fear". You can view the editorial by clicking here. In the modern world, science is expanding incessantly, so much so that it has become increasingly difficult for society to keep up. In this essay, The LA Times editorial board expresses a strong belief that genetically modified food should not be required to have special labels. By stating scientific fact disproving the danger of GMOs, clarifying that GMOs do have some negative effects in a counterargument, and suggesting a distinct alternative solution, the writer makes a persuasive appeal. Contrary to public belief, GMOs are “as safe for human consumption as any other food”. This is not merely a flagrant display of opinion by the writer, but scientific fact. Scientists have “found no credible evidence” that GMOs suggest a significantly more prominent health risk than foods that are not genetically engineered. Why, then, is the population wracked with fear of bioengineered food? This is exactly the question that the writer poses, and makes an effort to answer. By beginning his argument with a correction of a severely common misconception, the writer establishes concrete reason to his opinion. Although the writer clearly refutes the belief that GMOs are inexorably toxic, he does not agree that “there are no downsides”. By acknowledging the grey area in this otherwise polarized issue, he further cements the credibility of his opinion. He concedes that overuse of a particular herbicide, Roundup, has been proven to foster “the growth of resistant weeds”’ indicating damage to the environment. However true this counterargument may be, the writer builds off of it to support his own purpose, by saying that the AMA has already mandated more safety testing to bring more scrutiny to the subject matter. After referencing some of the downsides that GMOs do, indeed, have, the writer moves on to say that “labeling would not resolve” any of them. He turns his attention to the currently employed method of amending this problem, and examines the fallacy of it. Because “70% to 80% of the packaged food in conventional supermarkets contains genetically engineered ingredients,” labeling would prove to be an ambiguous solution. Labels would be so commonplace that they would become the norm, rather than a distinguishing factor, as is the intent in their creation. The writer instead suggests that “appropriate safety regulations” might be more effective in dealing with the issue at hand. In employing scientific fact to correct a widespread misconception, countering the argument that GMOs’ effect on the environment justifies labeling, and providing a possibly more successful alternative to respond to the issue, the writer builds a strong argument that labels are neither the most effective nor the most pertinent response to the growth of bioengineered food. Engaged in an array of activities — among which are working in a research lab, studying classical and jazz music theory, and writing free verse poetry — Aarya is earnestly pursuing life. She enjoys watching Hallmark Christmas movies regardless of the time of year, brewing tea, and dreaming. This essay is a response to the introduction of "Supernature" by Lyall Watson. You can view the introduction by clicking here. In the introduction to the essay “Supernature” by Lyall Watson, the author attempts to prove his central claim that it is important for humans to recognize the supernatural and study its existence. Watson constructs his argument by using hard evidence, a personal anecdote, and metaphorical language. At the beginning of the passage, Watson overwhelms his reader with evidence to prove that science is not “a jigsaw puzzle with a finite number of pieces.” He talks about the new uncertainty principle in physics and how it challenges the laws and validity of physics. Then he transitions to scientists discovering thousands of galaxies with each advancement of the telescope, and how the research seems to go on forever. His last example of infinite scientific possibilities concerns bats and he explains that for a long time it was assumed that we knew how they catch moths. But new discoveries uncovered a whole new world—one in which bats actually create sounds inaudible to humans to echo-locate and catch their prey. All of these examples of evidence from different areas of science show the reader that science has infinite possibilities and potential discoveries. In addition to hard evidence, Watson also provides his reader with a personal anecdote that explains his belief in the infinite nature of science and the supernature. He talks about loose ends in his life where “the syllabus brushed up against something strange, shied away, and tried to pretend that it had not happened.” These moments of uncertainty have always bothered Watson, and he says now he shall go back and try to relate them to the existence of the supernatural. This use of anecdotal experience helps readers realize that instances of supernature can happen in anyone’s life, including their own. Last, throughout the passage, Watson makes use of metaphorical language to assist his reader in understanding his point. He starts off saying we are in a “climate of disbelief” and the distinction between natural and supernatural phenomena has dissipated. Next, he explains that science has its “soft edges” and occurrences that are “on the fringe” of things we do and do not understand. Towards the end of the passage, he uses metaphor again by telling the reader that “our view of the world is restricted by the blinkers of our limited experience” and that supernature is “nature with all its flavors intact, waiting to be tasted.” By relating the supernature to concepts the reader is familiar with, such as having “soft edges” and “blinkers”, Watson is persuading his readers that the supernature is real and waiting to be understood. In the introduction to “Supernature,” Lyall Watson claims that the supernature is real and necessary to be studied. He constructs his argument by using hard evidence, a personal anecdote, and metaphorical language throughout the piece. Asma is a junior at Shaker High School who plans to study dentistry in college. This essay is a response to a passage adapted from Martin Luther King Jr., Beyond Vietnam — A Time to Break Silence. You can view the passage by clicking here. Martin Luther King Jr. explains the Vietnam conflict as something that is harming the nation and dividing socioeconomic groups ever further than they are separated. Martin Luther King Jr.’s speech, “Beyond Vietnam – A Time to Break Silence”, delivered in 1967, is very persuasive. To emphasize his points he uses ethics, economics and stylistic elements to move his listeners into action against this devastating war. Ethics are very important to any argument based on convincing people to do the right thing. Martin Luther King Jr. gives the example of African American and white soldiers in Vietnam fighting side by side, but if they were in a civilian setting, they wouldn’t have gone to the same school, or even lived on the same block. He informs us of the disproportionate number of young, black, impoverished men abroad fighting for freedom when they haven’t been able to find it in “southwest Georgia and East Harlem”. Martin Luther King Jr. argues strongly that people shouldn’t fight abroad for freedom before it’s granted to them in their homeland, especially since the conflict is removing resources from anti-poverty programs aimed at improving their lives. Economics are a driving force behind most politics at all levels of government, sometimes harming excellent social programs. In the first section of his speech he talks about the previous attempts to eradicate poverty within the last few years before this speech was given, saying: “Then came the buildup in Vietnam, and I watched this program broken and eviscerated, as if it were some idle political plaything of a society gone mad on war”. He blames the war for reducing the funding available for this project. 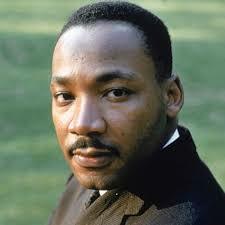 Martin Luther King Jr. sees the effect on people even more in poor ghetto areas. He says that the war has drawn men and funding away from the areas and people most needing it. At the end he says that if America ends up corrupt, the war in Vietnam is to blame. Martin Luther King Jr. uses appropriately-placed and well-chosen stylistic elements to prove his point. Using a simile, he compares the war to a “demonic destructive suction tube” of supplies that could have been going to aid Americans. The speaker comments that it’s a “cruel irony” to see two boys that normally wouldn’t even live near each other fighting side by side. A giant section of the speech is dedicated to creating sympathy for young black men who see violence as the only way to solve problems because that’s what the US does very often. At the end of the third paragraph, repetition marks an important point in Martin Luther King Jr.’s speech when he emphasizes the number of people who are negatively impacted by this conflict. His repetition is very emphatic and therefore persuasive: “For the sake of those boys, for the sake of this government, for the sake of the hundreds of thousands trembling under our violence, I cannot be silent.” He also personifies America by giving it a soul and saying that this armed conflict is fueling violent temptation in young men. Diction and stylistic devices, including simile, personification and repetition make the message very strong. 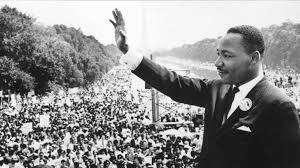 Martin Luther King Jr. stresses the Vietnam conflict’s negative effects and proves that it is tearing the country further apart, between racial and socioeconomic groups. He effectively uses ethos, economic factors, stylistic and poetic devices moving even the staunchest war supporters to his point of view. Mariam B. is a junior at Shaker High School who wants to study materials science and engineering. This essay is a response to a passage adapted from Eliana Dockterman, The Digital Parent Trap. You can view the passage by clicking here. In “The Digital Parent Trap” published in 2013, Eliana Dockterman persuades her audience of the benefits of early exposure to technology using statistical evidence approved by experts. She also states a possible counter-argument and defends her claim against it while using loose and friendly diction to gain a reader’s trust. Throughout her essay, Dockterman develops her argument that technology is beneficial, with statistical evidence to support it. She states that based on an experiment conducted by researchers at MIT, the ability for students to remember what they read, hear, and see increases from an average of less than 50% to 90% with the involvement of technology. 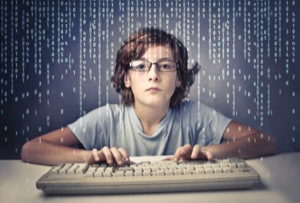 She also cites a study done by SRI which revealed that kids who played Samorost (an electronic game of solving puzzles) did 12% better on logic tests than those who did not. Such citations of scientific studies and statistical numbers appeals to the logical understanding of her readers. Also, citing evidence approved by prestigious institutions or professionals such as MIT, SRI, the anthropologist at the University of California, or the principal of Spencer Tech, increases the credibility of her facts and examples. Along with the statistical approach to persuading her readers, Dockterman gives a counter-argument to her claim, provided by Jim Taylor, author of Raising Generation Tech, and the voices of the majority of parents, and defends her arguments with reasoning, further persuading her audience. She provides the point of view of the typical parent who believes that the less time spent with technology the better. She also gives examples of some parents who send their kids to “digital detox” programs. She also acknowledges the counter-arguments to her claim by quoting Jim Taylor, “They’re a load of crap…meant to make money.” In response to the counter-arguments, she provides logical reasoning to defend her argument such as the statistical evidence (stated above). Acknowledging the opposition’s claim adds to the credibility of the author, Dockterman, and allows the information supporting her claim to be viewed as less biased. Last, her use of loose and friendly diction plays a significant role in persuading her readers. In the midst of all of her scientific and numerical evidence, although her tone and diction are mannered, she uses relatively friendly and less formal language such as “tech-savviest” or “tech saturated”. Also, she gives examples of the stereotypical family with a comical tone: “So who’s right — the mom trying to protect her kids from the perils… or the dad who’s coaching his kids to embrace it?” She also makes an effort to use new and youthful words, allowing the reader to relate to her comments more easily and appeal to the emotions of hope and excitement, innovation and freshness. To persuade her audience of her argument that technology is beneficial to young people, Dockterman uses statistical evidence, counter-arguments and logical reasoning to oppose them, and innovative and friendly diction. These techniques appeal to all three persuasive elements: logos, ethos, and pathos. Seyoung is a junior at Shenendehowa High School. This essay is a response to the speech of Alexander the Great, from The Campaigns of Alexander by Arrian. You can view the speech by clicking here. 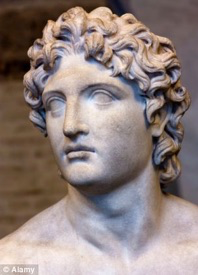 Although an abundance of world leaders has shaped how people view the world today, Alexander the Great was able to transform the shape of the world over 2000 years ago. Despite his impending death after reaching the northwestern boundaries of the Indian subcontinent, the Macedonian conqueror was able to compose a riveting speech to his exhausted troops in order to continue the expansion of his empire. To substantiate his argument and persuade his troops, the Macedonian conqueror utilizes evidence of conquest to support his claims and reasoning to develop his ideas and to link his evidence and claims of accomplishment. In order to persuade his troops to continue their conquest, Alexander presents a variety of examples and facts to support his claims. Near the beginning of his speech, he reminds his soldiers of the many parts of the world which they have already captured. He mentions how his soldiers have already gained control of lands such as Ionia, Phoenicia, and Mesopotamia: “…you have gained possession of Ionia, the Hellespont…, Phoenicia, and Egypt.” Through this evidence, he substantiates his argument by listing to his soldiers all the regions of the world they have managed to grasp control over. In addition to these facts, the Macedonian conqueror points out to his troops that they have driven the Scythians into the desert and have gained control of land possessing the rivers of the Indus, Hydaspes, Acesines, and Hydraotes. The King of Macedonia is able to substantiate his argument of continuing their conquest by describing the sheer magnitude of land they possess. All in all, Alexander the Great utilizes evidence to support his claims. In addition to using evidence of his and his troops’ conquest of foreign lands, the widely-successful conqueror also makes use of reasoning to link together his claims of previously conquering foreign lands and his ideas of further carrying out conquest to new lands. For example, in the beginning of the fourth paragraph, the Macedonian conqueror reasons that by leaving territory unconquered, warlike peoples may attempt to conquer land not fully secured by his troops. He goes on to reason that nations may be stirred to revolt by unconquered nations. He explains that if he and his troops were to withdraw troops, already-conquered land will face external pressure which entails risking the safety of his empire. Furthermore, Alexander reasons that there is more land to conquer from natives such as the Hyphasis. He asks his troops, “…why do you hesitate to extend the power of Macedon…to the Hyphasis and the tribes on the other side?” The Macedonian conqueror explains how natives they attempt to conquer will “surrender without a blow” as well as be caught on the run. Near the end of the second paragraph, Alexander also reasons that conquered lands will join him and his soldiers if his troops continue their invasions. On the whole, with the purpose of developing his ideas of further conquest and connecting his claims and evidence of prior conquest, the King of Macedonia utilizes logical reasoning. To satisfy his argument and persuade his troops to continue their conquest, Alexander the Great utilizes examples and facts of his soldiers’ prior conquests to support his claims of further conquest as well as logical reasoning to both develop his ideas and to connect his evidence and claims. Gautham is a junior at Colonie Central High School in Albany, NY. These essays are in response to an article written by Jimmy Carter. In the new essay format, students must respond to an article or speech and defend its persuasive appeal, taking 50 minutes for the task. Although this essay is an optional portion of the new SAT, we consider it mandatory and teach students exactly how to manage the job. Students are scored on three elements of their argument as they attempt to show the speech’s (or article’s) power: reading, analysis, and writing. They must demonstrate their understanding of the passage, show how well they have analyzed its persuasive argument, and build their own analysis with polished craft and skill. Click here to view Jimmy Carter’s essay. The preservation of nature is an important goal of many people in the world – an ambition that trumps the benefits of exploiting organic landscapes for industry. Jimmy Carter, the 39th President of the United States, also shared this belief in his foreword to Arctic National Wildlife Refuge: Seasons of Life and Land, A Photographic Journey, by Subhankar Banerjee, published in 2003. With the use of a personal anecdote, appealing morality, and factual economic dispute, Carter crafts a logical, persuasive argument that conserving the Arctic National Wildlife Refuge rather than developing it for oil production is in the best interest for the people of past, present, and future generations. Towards the beginning of Jimmy Carter’s essay, the former president includes personal experiences in the Arctic Refuge as a stylistic element. He writes, “There was a timeless quality about this great land” to describe this landscape along with adding beautiful, descriptive words about the plants, the rivers, and the never-setting sun above the horizon that would develop an image in readers’ minds. Reminiscing in a very intimate and heartfelt way, this anecdote appeals to the audience’s emotions. Carter continues by stating that this Refuge gave him and his wife Rosalynn “the most unforgettable and humbling experiences of our lives [which] occurred on the coastal plain.” He recounts how he witnessed the spectacle of tens of thousands of caribou with their calves migrating through the tundra. Beginning his essay like this is a good way to relate to people and gain their sympathy, with his statement displaying his passion in protecting the wild. In his reminiscence Carter establishes his argument by stating that the proposed developments would destroy all the beautiful and exhilarating properties of America’s only Arctic Refuge. Jimmy Carter continues to build his argument by including ethics as a persuasive element throughout the middle of the essay. Using his esteemed and notable position as president, a credible argument is established. But Carter also includes other noteworthy people to provide more validity as he states “…wildlife values of the Arctic Refuge have long been recognized by both Republican and Democratic presidents.” Then he continues to state how the proposals to develop oil drilling industry are ethically wrong. 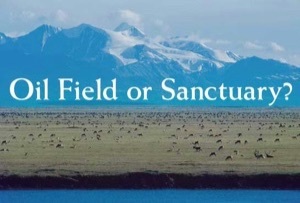 Not only do these propositions harm the wildlife that live on the one and only Arctic Refuge in America, they are also morally dismissive of the Gwich’in Athabascan Indians whose culture depends on these Porcupine caribou herds. Carter states “I can empathize with the Gwich’ins’ struggle to safeguard one of their precious human rights.” This is a powerful statement that brings the ethical argument to the forefront, expanding on more reasons that the Arctic National Wildlife Refuge should not be developed for industry. Lastly, the former President of the United States factually argues against the alleged economic benefits in drilling the Arctic Refuge. Carter states that although there is a short term economic gain, the Refuge “might provide 1 to 2 percent of the oil our country consumes each day.” This informs the audience that there isn’t enough economic incentive to ruin the landscape. His reasoning of conserving oil by driving fuel-efficient vehicles instead of “tearing open the heart of our greatest refuge” is a sound one with which many readers would agree. With the information Carter gives, the logic of there being no great return from destroying America’s only Arctic Refuge persuades the audience to believe that drilling is not worth the toxic cost. The 39th president provides an economic fact that disputes the argument of drilling this national area. 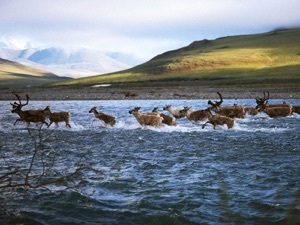 In response to repeated proposals to open the Arctic Refuge coastal plain to oil drilling, Jimmy Carter argues that preserving this area is more significant as it is one of few wild and free places in the world. In his essay the former president persuades the audience of protecting the Refuge by including personal anecdotes, ethical arguments, and economic reasoning. Matt Ahn is a junior at Shaker High School. He was born in South Korea and moved to the United States in the 6th grade. Sometimes human activities threaten nature and cause pollution. In the foreword to the book, Arctic National Wildlife Refuge: Seasons of Life and Land, A Photographic Journey, Jimmy Carter talks about the importance of the Arctic National Wildlife Refuge. He claims that the Arctic Refuge should be preserved because protecting this extraordinary land for future generations and saving this astonishing vast area along with the animals is important. To convince his audience of his claim and argue against oil drilling, President Carter uses the techniques of emotional power through an anecdote, the logic of political agreement, and the economic element. By describing the incredible beauty and national heritage of this refuge with sensory details, Carter attempts to persuade his audience emotionally that this refuge should be preserved. He lets us visualize this gorgeous refuge when he paints a picture of beauty: “This magnificent area, ... from the windswept coastal plain where polar bears and caribou give birth, to the towering Brooks Range where Dall sheep cling to cliffs.” By depicting what he saw, he makes us realize the great beauty of nature, and makes us think that we need to save the beauty of the wildlife. He also uses the description of sound such as “wolves howl in the midnight sun” to persuade his audience. In addition, he makes the wilderness come to life when he says, “Tundra before us became flooded with life, with the sounds of grunting animals and clicking hooves filling the air.” In the first several paragraphs of the article, the author uses sensory details to help readers envision the great refuge, persuading the readers that saving the refuge is very worthwhile. Both Democratic and Republican parties agreed in the past that this refuge should be saved, showing us that it is a common sense decision and an unusual political collaboration. Carter says that in 1960, President Dwight D. Eisenhower, a Republican, “established the original 8.9 million-acre Arctic National Wildlife Range to preserve” it. Twenty years later, the author, President Jimmy Carter, a Democrat, signed the Alaska National Interest Lands Conservation Act. By showing that the Republican and Democratic parties that don’t agree with each other easily had agreed on the importance of preserving this refuge, President Carter effectively helps his readers see that preserving the wildlife is the right thing to do. When we look at the big picture, getting a small amount of oil by harming the refuge is irrational. Because we can only get limited oil from Arctic oil exploration, Carter believes that “At best, the Arctic Refuge might provide 1 to 2% of the oil our country consumes each day.” which we can easily conserve by “driving more fuel-efficient vehicles.” President Carter proves that only this small amount of oil is not worth destroying the wildlife and refuge when we can put a little effort and save both oil and the wildlife. President Carter says, “We must look beyond the alleged benefits of a short-term economic gain and focus on what is really at stake.” He shows that in this case, getting oil from Arctic oil drilling is worthless compared to the wildlife that would get destroyed, and he convinces readers that it is logically right to preserve the wildlife instead of drilling to get oil. Preserving the Arctic Refuge is extremely crucial rather than getting a small portion of oil by harming it. The author supports this idea by using the description of emotional power, the logic of political agreement, and the economic element proving that drilling does not make financial sense. Before we harm nature for economic gains, President Carter states that we should think about using our resources more efficiently. Agnes attends Shaker High School and enjoys making and listening to music and playing lacrosse with her friends. The following essays responded to the SAT directions from 2005-2015. In this old format, as follows, students read a quotation and a question about human nature or a current issue. A student’s task was to create an argument essay, according to his or her point of view, buttressed by reasoning and examples from the student's reading, studies, experience, or observations. Assignment: Do you agree that persistence is the major factor in success, and that talent, genius, and education play, at best, secondary roles? Each person has his or her individual talent, and many people are inspired when they learn about very talented people. Although some people brag about their talents or intelligence, the most successful people are those who are persistent. I agree with Calvin Coolidge that education and talent are not the major factors in success. Persistence is the main element. Both Steve Jobs and the character Christopher in The Curious Incident of the Dog in the Night-Time by Mark Haddon are good examples of showing persistence. Steve Jobs, one of the most famous people in the technologies area, exemplifies a truly persistent man. Jobs was not a genius at creating or making innovative products. He worked at a little computer shop at first and had a lot of differences of opinion with his boss. One day he had an idea to make a computer that was composed of both screen and keyboard, which basically sounded stupid to his boss. However, Jobs did not change his mind and finally he accomplished his goal: the Macintosh Computer. After he created this computer, he did not stop thinking about new ideas and finally, the first new product that he came up with was the iPhone. This end product is an extremely popular and useful small “computer”. If his idea had been suppressed by his boss, the great creation of Steve Job’s persistence would never have existed. Christopher, the autistic main character of the novel The Curious Incident of the Dog in the Night-Time, also shows a great example of persistence. In the beginning of the book, Christopher’s neighbor’s dog dies and Christopher wants to be a detective on this event. He is warned by the police and his Dad to not be involved in this kind of situation but he keeps doing it and he writes his book from the time of the murder of the dog. Later on, he finds that his Dad had been lying to him for over a year about his mother’s death. Chris starts to go crazy when his father admits to hiding his mother’s letters and also killing the dog. This is where we see Chris’s persistence because he loses all trust in his Dad and decides to go to live with his mother in London. Now Christopher has to find a way to get to London by himself. Although he does not like other people, his antisocial behavior improves through his adventures. He always tries to overcome the stress he feels, and it’s impressive that an autistic teen is able to get to London by himself, find his mother, and write a book, all requiring huge persistence. Assignment: If you want to become an expert in a certain field, do you need to have more talent or more motivation? In order to become an expert in a certain field you need more motivation than skill. We all have a specific skill that we are good at but the true champions in life are the people who take their skills and make them better through dedication and motivation. One example of this theory is Derek Jeter. Coming out of high school, Jeter threw pitches 98 miles per hour over the baseball diamond. His velocity was a skill that he was born with. But his fielding, on the other hand, was less to be desired. In the minors, Jeter made 56 errors in just under one full season. Through motivation and hard work, Jeter has won multiple gold gloves, which is an award given to the player who makes the least number of errors in one season. Jeter took his natural-born skills and motivation and is now one of the best shortstops of all time. Another example of the importance of motivation is learning how to shoot a compound bow. A bow is an extremely tricky weapon to master and becoming an expert is difficult. When learning how to shoot a bow, practice makes perfect. My great uncle is the best bow hunter in my family. In his prime he could shoot an arrow comfortably 70 yards and make a kill shot. The reason he could shoot so far and so accurately is because he would shoot 400 arrows after work every day. He would start at 20 yards and work his way back to 70 yards. This is proof that the more motivation we have to practice, the better we will be. These examples of Derek Jeter and my uncle prove that practice is very necessary in building champions. As Muhammad Ali says, we need motivation to drive us in our work. Without motivation, dedication and hard work, America’s top athletes would be considered terrible by today’s standards. Salvatore Pezzolla is a junior at La Salle Institute in Troy, New York. 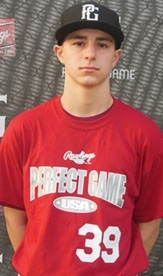 His baseball team traveled to Surprise, Arizona for the AABC Ken Griffey World Series and placed second overall. 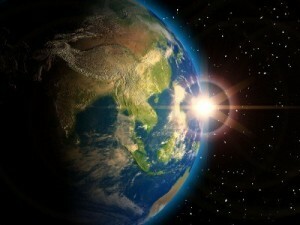 Many people believe that there is only one correct interpretation or foolproof solution to an issue or event. Do you believe that for every perfect plan there is always a 'however,' another explanation or point of view? 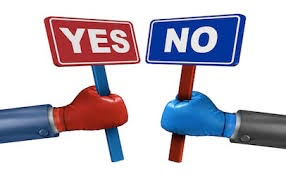 Throughout my involvement in the program Construction Trades and in multiple leadership opportunities over the years, I’ve noticed that there will always be a “however.” There is never only one way to complete a project, make a point, or come to a conclusion because there is always another way of seeing things. Through my Construction Trades at BOCES, I’ve learned that you will always make mistakes, there is no one way of completing a project, nothing is “concrete,” and there are many ways to make construction better. If you make a wrong cut on a piece of material, you can reuse it for something else or on a personal project later on. It is important to ask others what they think and if they would have any ideas to improve the plans and perhaps make the item easier to construct. I have met students from all around the area. We all have different experiences and different levels of expertise, so we are able to come up with innovative ideas for projects. Every student learns differently: one student may learn by watching another student, one student may learn by doing more hands on projects, and yet another student may learn best by simply reading an instruction manual. No one person has all the knowledge and all the answers. However, together there is an opportunity to make an incredibly beautiful and functional building. Along those lines, through my various leadership opportunities, I have learned that there is not just one way of leading a group in an activity or game. If a teen or younger child doesn’t want to participate in an activity, the leader can change the activity slightly to make it more interesting. For example, I recall a leader presenting information on teamwork. At first, she was simply talking and it was really boring and nobody was participating. Then, she divided us into smaller groups of five people, asked each of us to blow up a balloon and instructed us to write a positive word on the balloon. The balloons were placed in a trash bag and we were asked to keep the bag afloat and not touch the ground. That was easy. However, she then took a balloon filled with water and wrote a negative word on and we were again asked to keep the bag afloat. Not a single group was successful. She easily demonstrated the point she was trying to make: On a team you need to be positive, and negativity will bring the team down. More importantly, she was able to involve the group and discussion on the topic was much more interesting. In both Construction Trades and leadership conferences, I have learned that there are many ways to lead a group in an activity and to illustrate a point. Everyone has different experiences and collectively these provide opportunity for fantastic projects and group activities. The following excellent body paragraphs for the SAT essay show that building the essay slowly can be a good idea. In our classes we work with students in 9—minute segments, creating strong substantiation paragraphs. In this way we teach them to construct the essay as a builder would construct a building, buttressing the argument with a strong foundation (critical analysis) based on examples. Students must remember to write a good topic sentence and give plenty of details to back up the thesis, including the regular journalistic questions: who, what, when, where and why. They imagine that this is their first body paragraph, and they must use their own words throughout, not those of the College Board assignment. Are all weaknesses simply negative circumstances that provide obstacles to overcome, or do some problems ultimately provide some benefit, even if we cannot understand it immediately? Negative circumstances can lead to discoveries that might never have been found. For example, soldier suicide is a growing problem in the U.S. Army. Researchers have found that two hundred sixty-four per 100,000 hospitalized soldiers commit suicide. Ronald Kessler, a professor at Harvard Medical School developed an algorithm that predicted who would be most likely to commit suicide. Different factors such as being male, having a recent history of psychiatric problems, enlisting in the Army late in life, having a criminal history, and owning weapons were some of the predictors taken into consideration when forming this mathematical equation. His discovery was deemed successful and researchers are working with the army to apply this algorithm. Suicide in the U.S. Army is a terrible problem. However, without this problem, the unusual algorithmic solution, which may have wide-ranging helpful consequences, would have never been formed. Is it important to challenge the ideas and decisions of people in positions in authority when we feel those decisions are wrong? Challenging authority, though necessary, does not come naturally to many. In Stanley Milgram’s experiment on obedience to authority conducted at Yale University in the 1960s, many of the test subjects, though feeling anxious and distressed, continued in their administration of shocks to another person. The Milgram experiment shows that when commanded to commit certain actions, those commanded believe the action to not be their own. Although the “victims” were really actors and felt no pain, those administering the electric shocks did not know this. I conclude that humans are more likely to inflict pain, be it emotional or physical, upon others if they consider it to be of another’s will. We are each capable of becoming instruments of cruelty when influenced by the demands of other people. Though many shy away from confrontation, challenging authority is sometimes necessary to eliminate suffering.